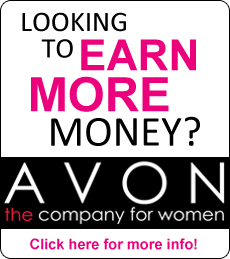 Recruiting is a great way to build your earning and your your business, so whether you’ve got your Avon business in high gear or you’re just starting the journey, you’ve decided you are ready for the Leadership Opportunity. Any time is the right time to build a team. Your path to success will include higher earnings coupled with fun and teamwork. Along the way you will gain more knowledge, increase your confidence and improve your skills. But best of all you will achieve a sense of pride in the mentoring and empowering other women to success. So where do you start? First set a goal. 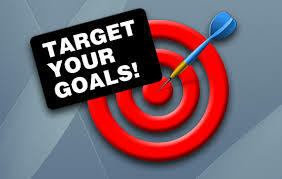 In the words of Zig Ziglar “you can’t hit a goal you can’t see”! How many people would you like on your team in six months? 5 or maybe 50? No matter how many, break it down into how many you need every month and every week to make it happen. Let’s you want 60 in six month, that’s a ten a month and and between two and three a week. That gives you a starting point. Second – Start with who you know. Of course we all have our family and friends and that’s where we start. But once you’ve exhausted those, don’t give up and think, “no one wants to do it”. All your friends have friends, and co-workers, and acquaintances so don’t be afraid to ask everyone to share your news of a great opportunity. Anyone and everyone is a potential new team member. So always, have a book, and interact with people. When you’re standing in line waiting or sitting in a waiting room take the time to get in a conversation with people and you can eventually bring up what you do and how much you love. it. There are a lot of people out and you can start to reach even more with on-line recruiting. Check out the online recruiting tips by clicking here! So set your goals, stick to them, and soon you will have a team you can mentor and be a part of. Don’t forget that most people would love to make some extra money or are looking for a chance to build a business, so put on your best smile and become the Leader you know you can be.